Duck is a flavorsome meat, and this powerfully flavoured sauce makes a rich combination, that is quite impressive to serve. The ingredients can be a little expensive to buy, but it does make a wonderful dish for a special occasion. Serve with a salad and sweet potato chips. Make a few cuts in the fat / skin of the duck breast. Brush with a little coconut oil and season with sea salt and freshly ground black pepper. Fry in an oven proof pan for 5 minutes skin side down on a moderate heat. Turn the duck over and cook for a further 2 minutes. Put all of the sauce ingredients into a blender and blend until smooth. Pour the sauce over the duck, and put the pan with duck and sauce into the oven to cook for around 5 minutes (depending on the size of the duck breast it might take a little more or less time). 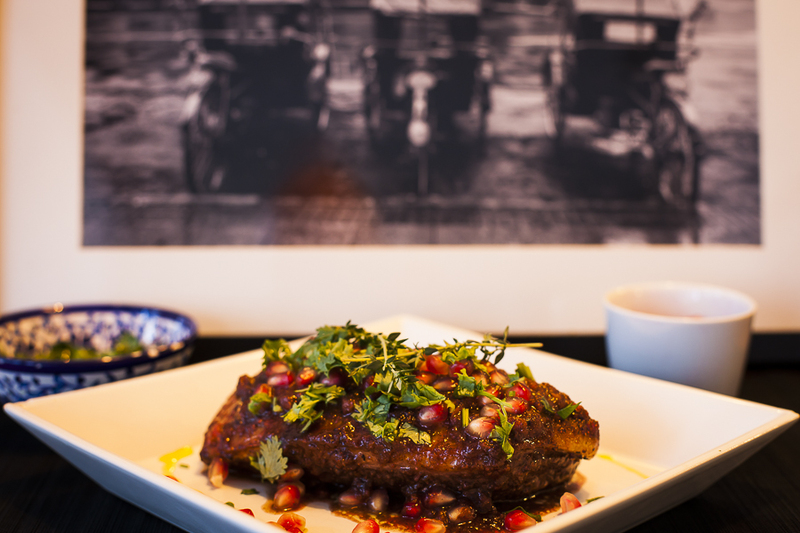 Garnish with fresh coriander and pomegranate seeds to serve.